Ceramic incense bowl sold with a bag of sand to balance your incense sticks. This ceramic incense bowl isHand made in Nepal. 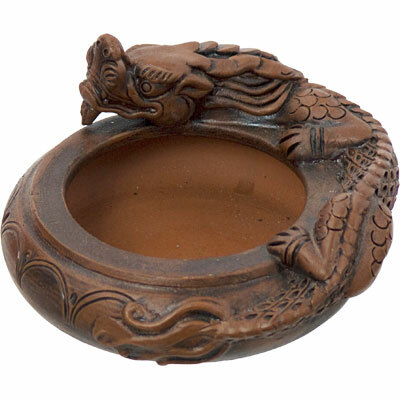 Chinese dragon traditionally represents auspicious energy for realization of new projects. It also represents strength, power and the control over water, rainfall, and floods. This ceramic incense bowl stands 3 inches in height and 5 inches in diameter.